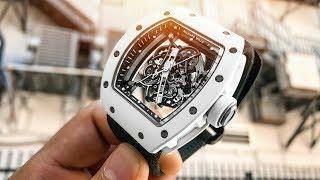 The Richard Mille RM002 Tourbillon is encased in 38.3mm x 45mm of rose gold surrounding surrounding a skeleton dial on a black rubber strap. 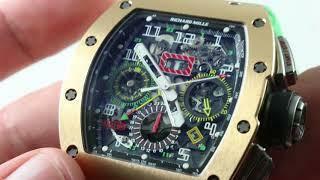 Functions include hours, minutes, power reserve, torque indicator, and tourbillon. 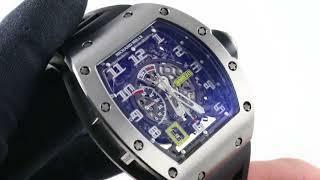 The watch also measures 12.4mm in thickness. 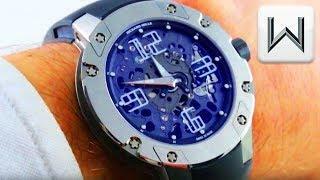 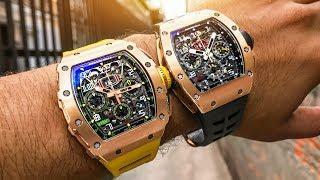 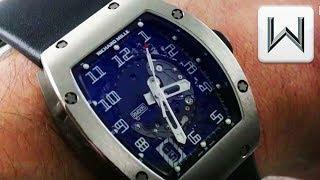 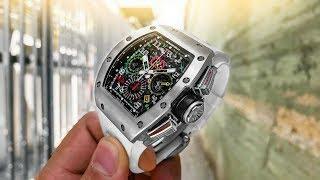 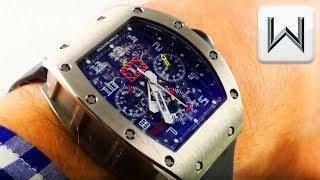 Richard Mille Watches – RM 11-01 vs RM 11-03 Luxury Watch Review!